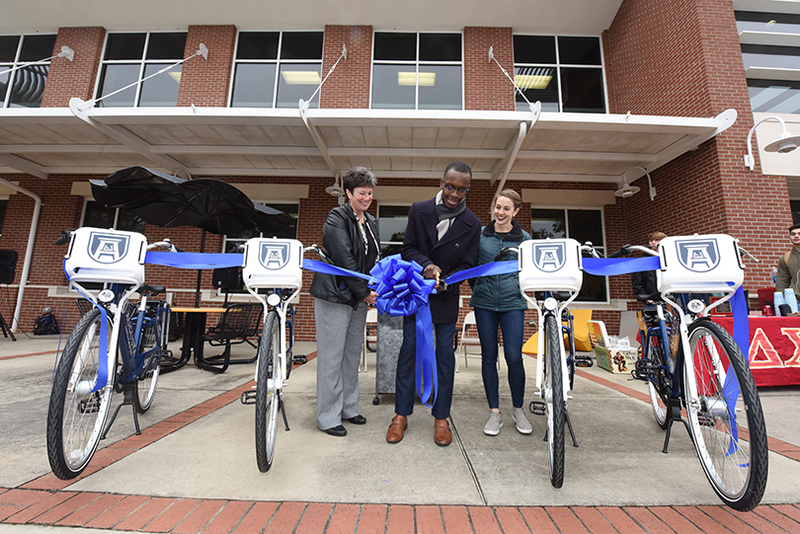 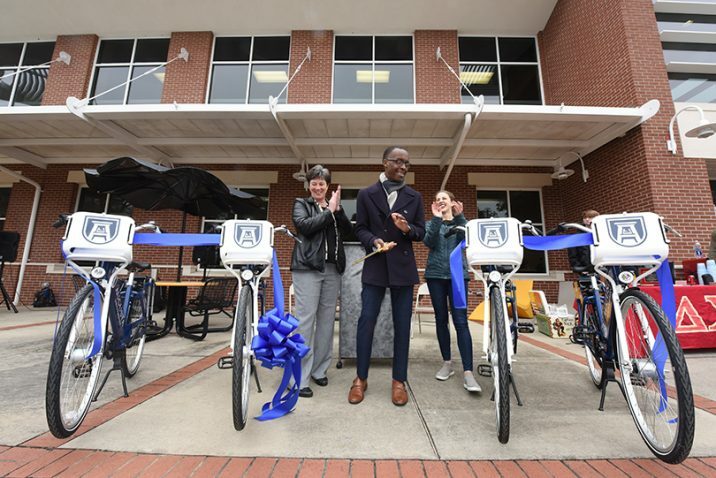 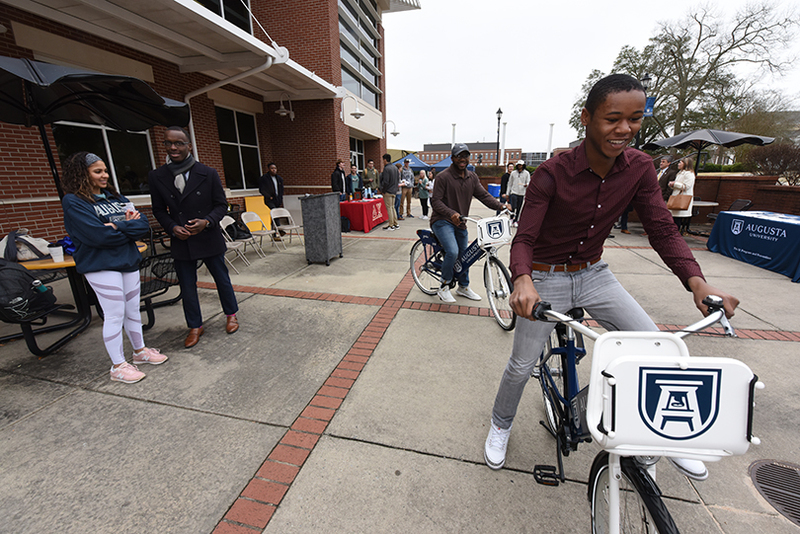 Click to browse photos of JagRide, AU’s new bike-sharing system. 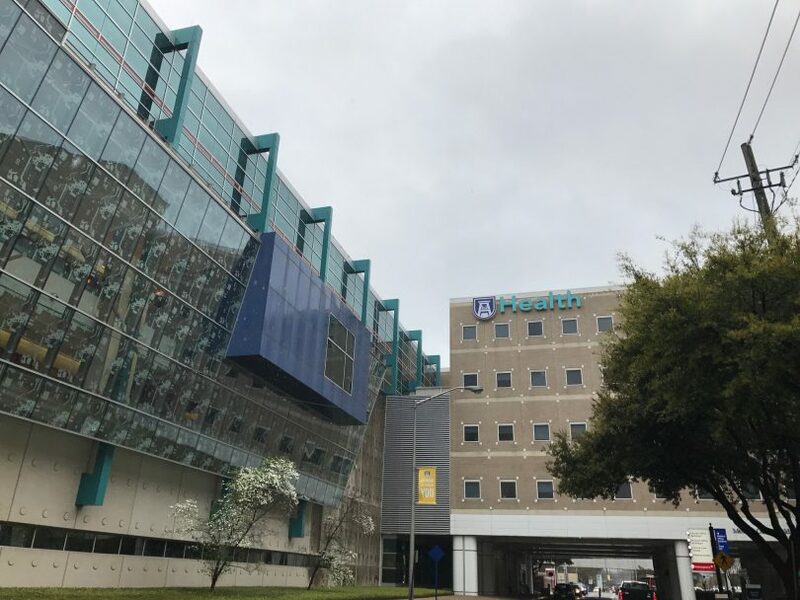 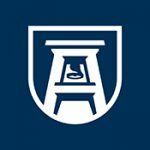 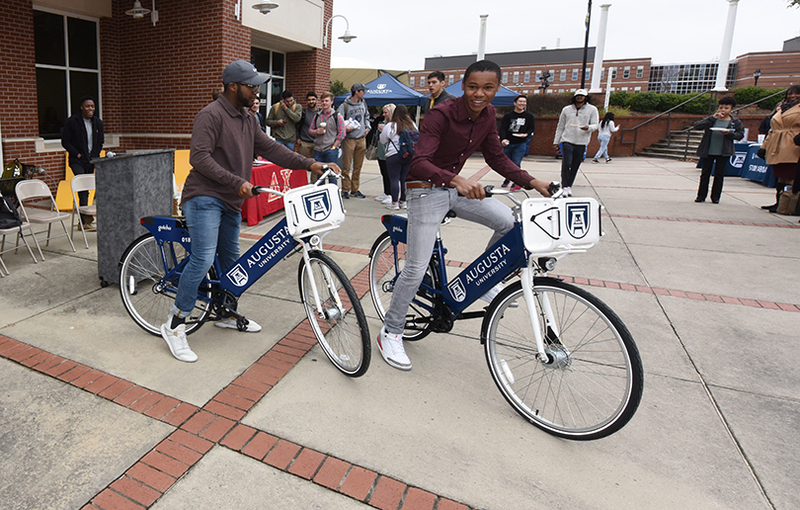 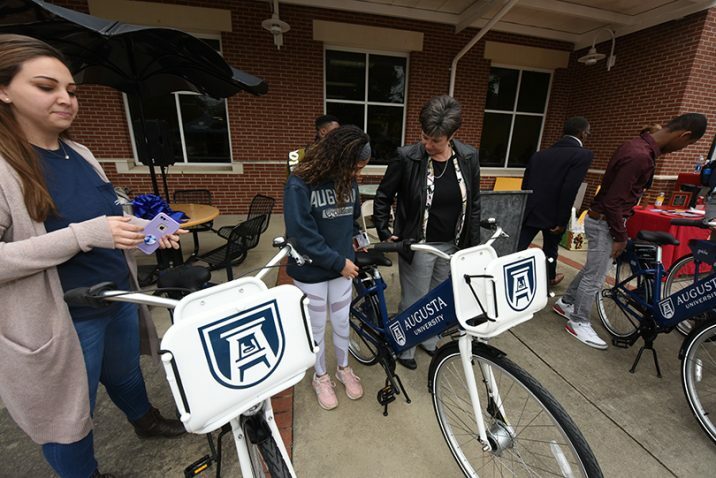 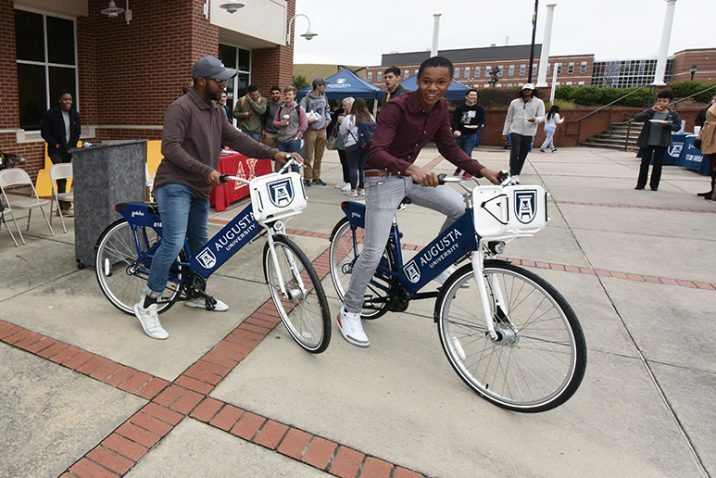 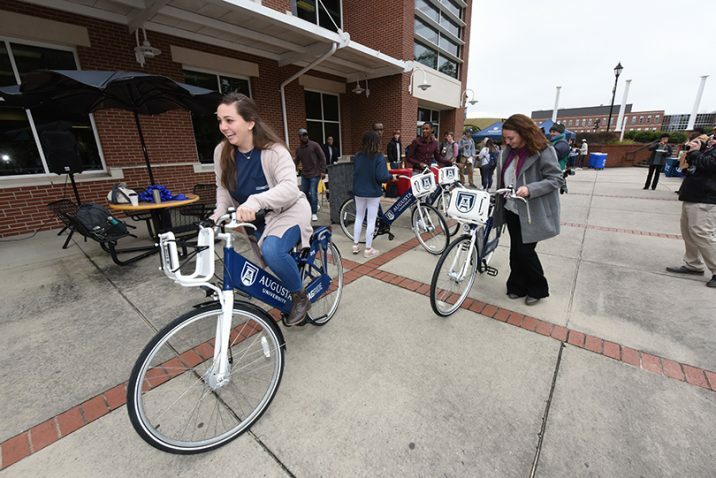 Augusta University’s new bike-sharing system, JagRide, is making it a little easier for people to get around. With 18 GPS-enabled, pedal bikes, students and staff have access to this new point-to-point transportation option, or the opportunity to take some scenic rides. 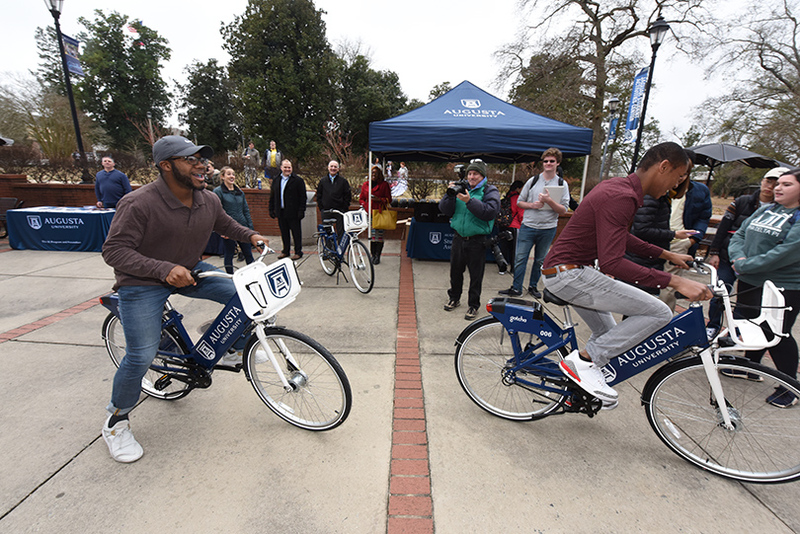 Browse through the gallery to see some photos from Tuesday’s ribbon cutting. 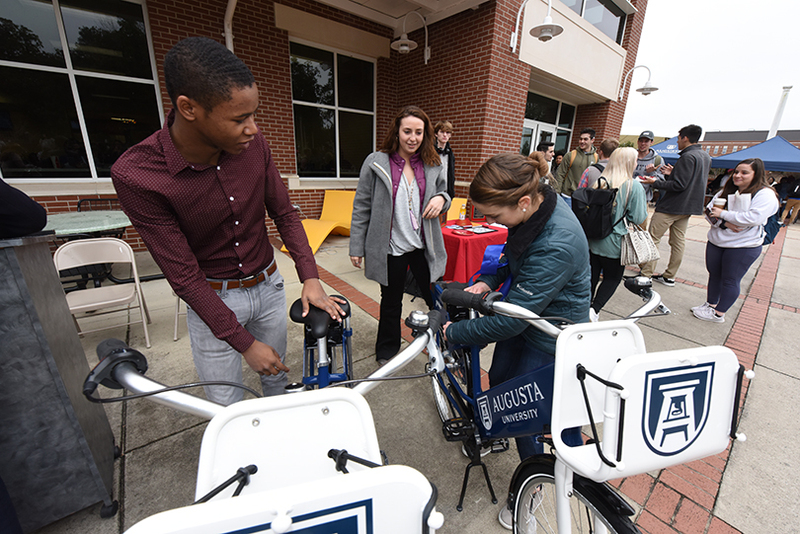 Or learn how you can download the app and get pedaling across campus.